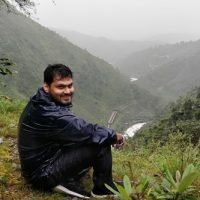 Meet Andrew, your Dost at MylocalDost, a platform for sustainable tourism in India which unites travel enthusiasts with locals for a rich and authentic experience of rural tourism in the country. Andrew specialises in organising trips to locations beyond your Google maps, to offbeat treks and treats of nature and living with the local community specially selected by the team of MylocalDost. The birth of almost every organization of social entrepreneurship can be located in the dream of an individual or a group of like-minded people. This dream which is often ridiculed or considered impossible when in its embryonic form often requires the persistent effort of its founder and the team. Meet Andrew Louise, the Eco-founder (Eco-friendly in his ways) of MylocalDost, who manages the Operations and Marketing of the product. The platform unites travellers to local hosts or Dosts, as Andrew calls them, who will ensure that you don’t just visit a place but live it locally and responsibly. MylocalDost was borne out of Andrew’s dream of creating a platform doing what he enjoyed doing as a hobby – organizing trips for his colleagues to off-beat places. He was a regular corporate employee till a year back. 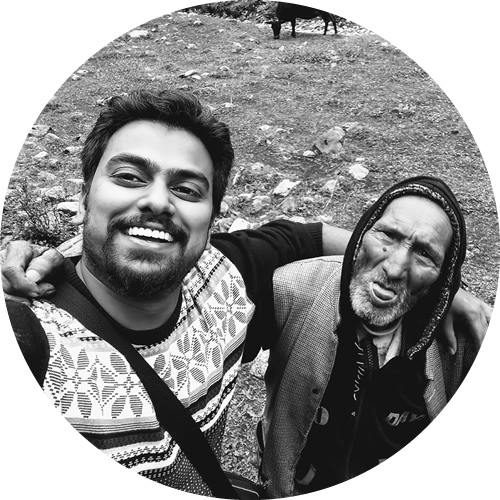 However, it wasn’t long before he realized the potential for rural tourism in India and ultimately made the big leap from corporate life to social entrepreneurship. Andrew, who was born and brought up in the city of Delhi, always enjoyed travelling to the nearby popular hill stations of Mussourie, Manali, Dehradun, Shimla etc. as a kid during the school vacations. However, as he grew up and kept visiting these places to relive his childhood days, he watched these popular tourist spots transform into overpopulated towns with new problems emerging every day. It came to a point, that once when Andrew and his friends traveled to Mussoorie, they weren’t allowed to enter the place as the place was Houseful! It was heart-breaking for him as his childhood memories of traveling to the hills were getting perished due to mass tourism. He realized the tourist destinations were going overboard, beyond their capacity, to generate maximum income out of tourists and ending up hurting their ecosystems in the long run. Those destinations had all the chaos that any metro city has. They were no more a place to travel. Since then, Andrew began travelling to unheard and less-explored places, living with local communities, relishing local food, witnessing nature trails that only locals would know, and enjoying listening to amazing folktales. He found that the real meaning of travelling lies in the villages and not in towns or cities. And this was no more about just visiting a place but living that place like a local, leaving behind your urban attitude. And when you live a place like it’s your own, you want to leave that place just the way you want to see when you come back. Andrew says “just travel locally, you will automatically travel responsibly”. This is what MylocalDost is all about. The platform connects you to some amazing local hosts who you would definitely call dosts (friends) once you meet up with them and together explore the new realm of travelling. This platform has been in operation for almost half a year now, and we have had travelers from different parts of India connecting to us for visiting places beyond what the regular tourist websites will tell you. The overwhelming positive response from the initially hesitant travelers who Andrew sends off to off-beaten places, treks, and previously unexplored villages, has been the driving force of the initiative. The promotion of rural and eco tourism through local hosts and dosts is the primary goal of the platform through which it seeks to uphold the motto of sustainable/ responsible tourism in India. 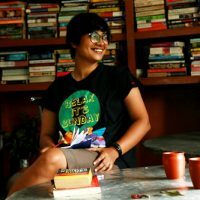 Nayani Sarma, hailing from the land of red rivers and blues hills, Assam, is currently a PhD research scholar in JNU. She’s an avid traveler, extensive reader and a versatile writer of any social topic under the sun. She is always enthusiastic about meeting new people, exploring new cultures and learning new languages. She manages the communication and operations of MylocalDost. Anish is a Software Engineer by profession and escapes to the hills in his leisure time. He’s a storyteller and a visualizer who loves exploring new possibilities in every person he comes across. He’s the seller of MylocalDost and extremely good at it. The tech guy of MylocalDost, Abhishek develops and manages the products. 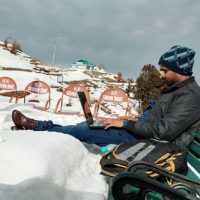 He is a Digital Nomad who is never around you but always connected from any part of the World.